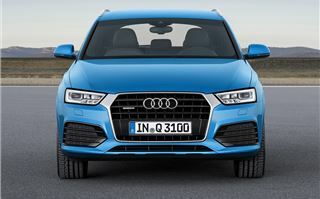 When it was introduced in 2011 the Q3 managed to pull off a clever trick – it looked huge but was actually fairly compact. 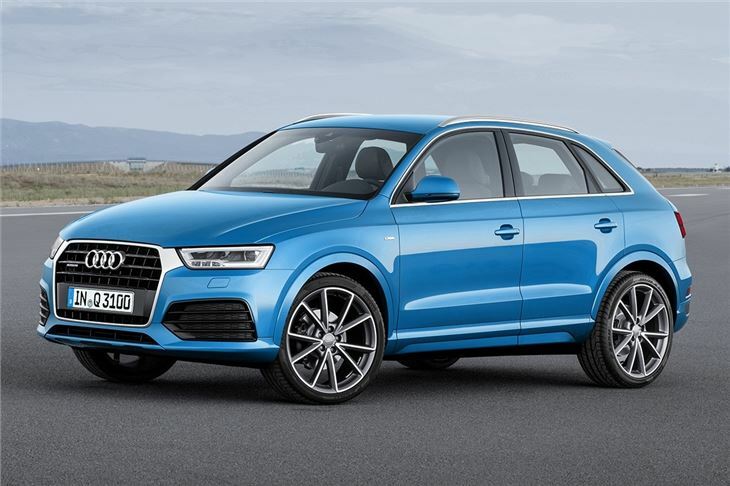 Audi has decided not to mess with that formula for the facelifted model, which has exactly the same exterior dimensions as before – but with a redesigned front grille, new bumpers, fresh wheel designs and updated lights front and rear. 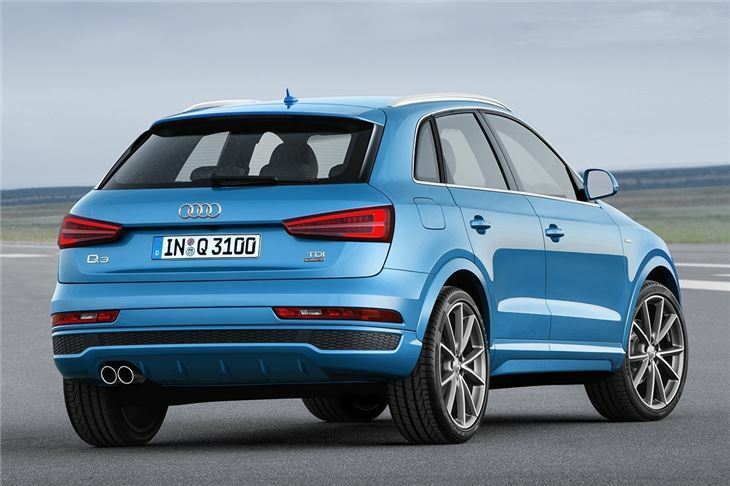 The tweaks might not be dramatic but they are effective – side-by-side it’s easy to tell the new Q3 apart from the old one. However it is under the skin where the most important changes have been made - engine efficiency and performance have been improved, while standard equipment is better across the board. 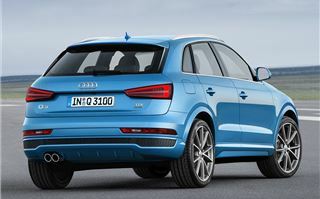 The new entry-level engine – a 1.4-litre TFSI petrol with 150PS – benefits from cylinder on demand (CoD) technology, which deactivates two cylinders when the engine isn’t under too much load, improving economy. The best-selling 2.0-litre TDI diesel also gets better economy along with a 17g/km reduction in CO2 emissions to 139g/km – but with a power hike from 177PS to 184PS. 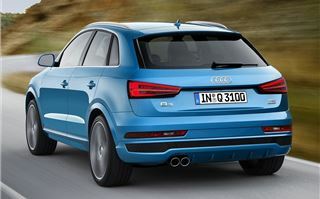 The engine range also features a lower output version of the 2.0-litre TDI with 150PS, plus a 180PS 2.0-litre TFSI petrol and a 340PS 2.5-litre TFSI petrol in the high-performance RSQ3. 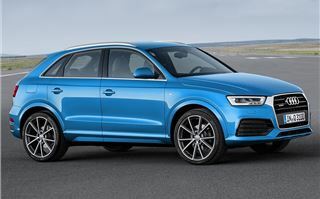 As you’d expect from Audi there are four-wheel drive quattro variants on offer, plus a choice of six-speed manual or seven-speed S Tronic transmissions. 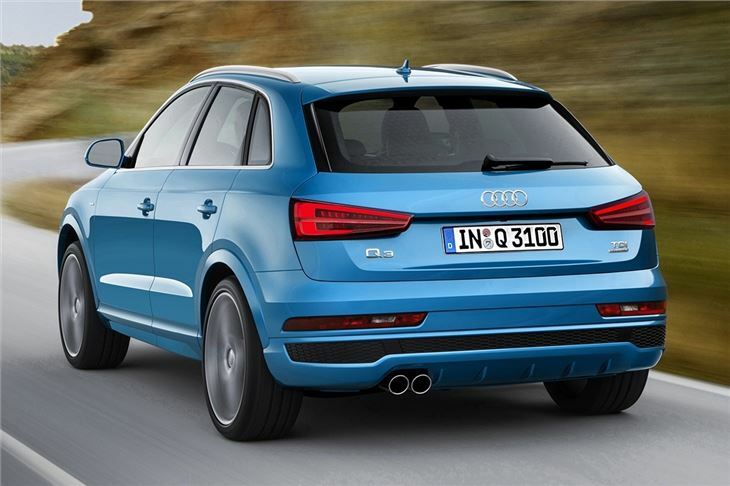 From behind the wheel the Q3 gives an excellent first impression. 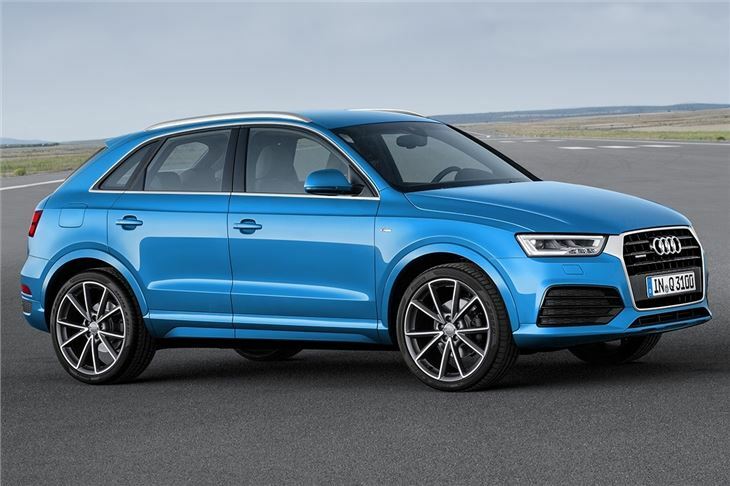 Not much has changed inside but the Q3 doesn’t feel any the worse for it – quality is top notch and the materials are impressively sturdy. Starting up the engine – in this case the 1.4-litre CoD petrol – does nothing to ruin the cocoon-like peace. Refinement remains very good when on the go – the engine is subdued unless pushed hard, but since it produces a perfectly useful 250Nm of torque from 1500-3500rpm there’s no real reason to use all of the rev range. The Cylinder on Demand technology is completely unnoticeable in action – you can’t hear or feel it working. When accelerating the engine acts like any other four cylinder engine, but when cruising along or coasting the second and third cylinders are disconnected and consequently burn no fuel - improving fuel economy. The effectiveness of the system is dependent on your driving style and the type of roads you use – in town it won’t be too handy, but on a sweeping A-road it will. 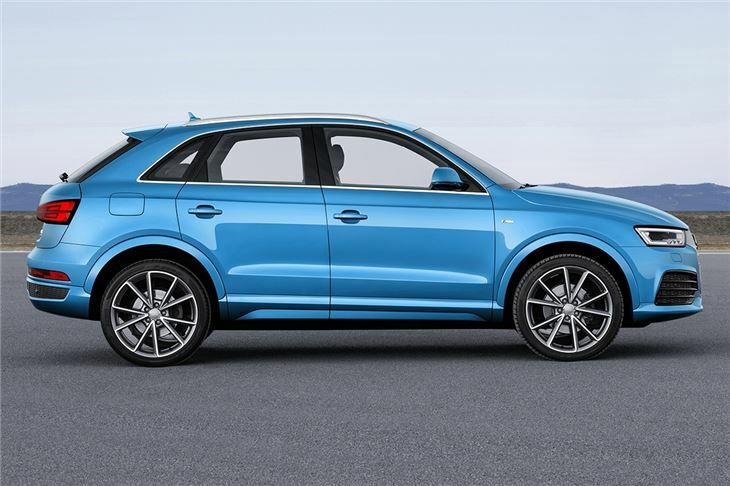 Audi now fits Drive Mode Select as standard across the range, meaning drivers can choose to alter the steering weight and throttle response. In some settings the steering can feel vague and over light, but a little bit of tinkering solves any qualms – making the Q3 a thoroughly pleasant car. It’s not particularly exciting, but it is relaxed and easy to get along with on motorways and country roads or in town. It’s capable, too – with lots of grip, little in the way of body roll and comfortable ride quality unless the road gets particularly rough. Space in the cabin is generous. There is sufficient head and legroom for most adults to get comfortable, although sitting one tall person behind another will result in limited knee room. The rear load space hasn’t grown with the facelift, but it didn’t really need to. 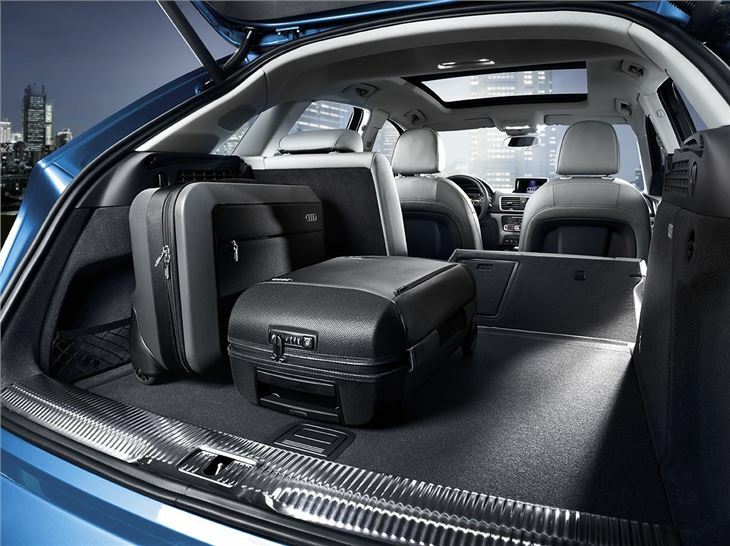 With the seats up there’s 420 litres, expandable to 1325 litres if you fold the rear row. You can get handy extras like a cargo net for holding things in place, plus there is now a retractable load cover as standard and, if you go for S Line trim, you’ll get a power tailgate - which makes life a bit easier when carrying a child and a load of shopping at the same time. 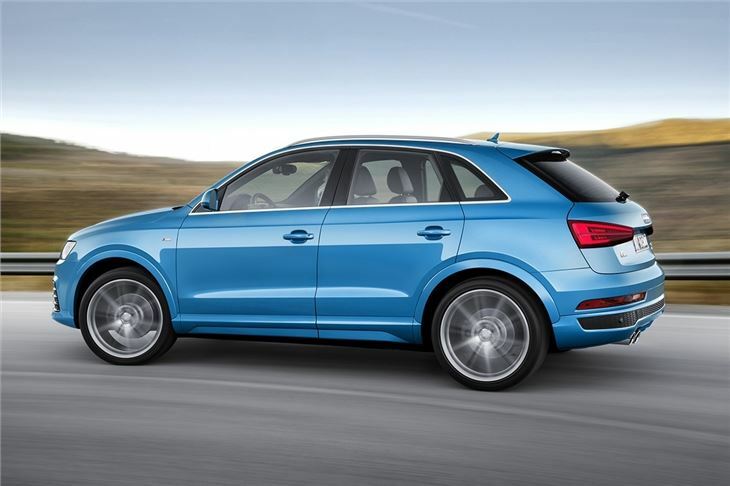 Also new to S Line trim are full-LED headlights and electrically folding door mirrors. Even entry-level SE models get enough equipment to satisfy most buyers – all cars get xenon headlights, DAB radio, Bluetooth, dual-zone climate control, automatic lights and automatic wipers. 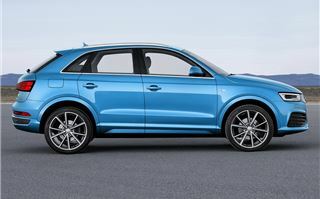 But this wouldn’t be an Audi without optional extras – and there are plenty. 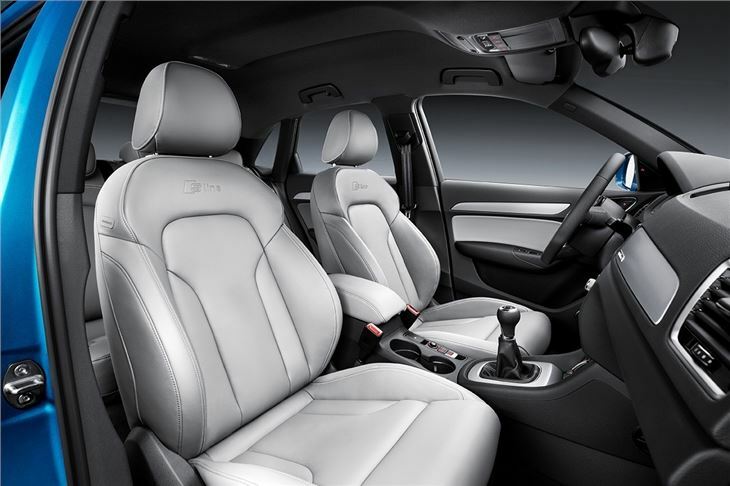 Buyers can choose from various interior upholstery finishes and alloy wheel designs, plus there are extras like a navigation system and a terrific BOSE stereo and speakers. 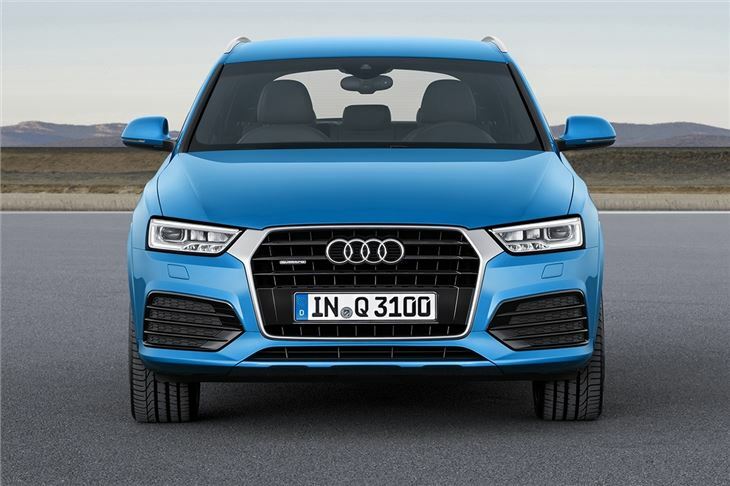 Since it was launched the Q3 has been an excellent choice of small SUV, offering all of the usual Audi quality plus plenty of road presence in a small package. 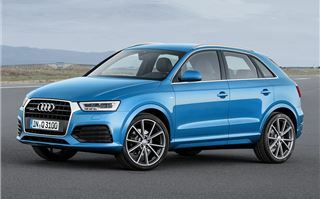 The latest round of updates only adds to the appeal and, although it has some stiff competition from Range Rover with its Evoque, the Q3 is well worth your attention.